Severability May Hold the Key to Obamacare’s Future: How Much of the Law Will Survive the Supreme Court’s Review? Justia columnist and Cornell law professor Michael Dorf comments on a less often discussed but highly significant issue regarding the Supreme Court’s upcoming decision on Obamacare: If a majority of the Court finds that the minimum coverage provision is unconstitutional, how much of the rest of the law should—and will—also be invalidated by the Court? As Dorf notes, the Court heard from three attorneys who addressed this question, on the third day of oral argument in the case. The plaintiffs in the case contended that none of Obamacare should survive, but Dorf contends to the contrary that, if the minimum coverage provision is struck down, most of Obamacare should still be left standing. Dorf explains the root of the presumption that various parts of a law are severable from each other, and critiques the plaintiffs’ argument that Obamacare should be struck down in its entirety—setting forth three important respects in which he argues that that argument was wrong. One key point Dorf makes is that the statute as issue would work better if the minimum coverage provision were to be left standing, but it would still work if that provision were to be struck down. Justia columnist and Cornell law professor Michael Dorf comments on three important exchanges among the Supreme Court’s Justices that occurred during the Obamacare oral argument. As Dorf explains, the first exchange tested whether the government could constitutionally require Americans to buy things other than healthcare, such as burial insurance, mobile phones, or American cars. The second exchange involved a hypothetical regarding the government’s power to institute mandatory inoculation. And finally, the third exchange involved the Constitution's limits on “direct taxes.” Having discussed these important exchanges among the Justices, Dorf also describes what he believes to be the basis for the government’s best hope of winning the case. Justia columnist and Cornell law professor Michael Dorf comments on a recent Israeli Supreme Court decision that held that a law exempting ultra-Orthodox Jews from military service unconstitutionally denies equality of treatment to other Israelis, who either must serve in the military, or—if they are conscientious objectors—must perform alternative service. Dorf notes that the Israeli decision is not only interesting in its own right, but also sheds light on two questions that U.S. courts must frequently face: How should courts evaluate laws that confer special benefits on certain minorities within society? And, when should people and institutions be exempted from legal requirements based on religious objections? In particular, Dorf points out that the Israeli decision has interesting comparative-law implications for American debates about affirmative action, and about the granting of religious exemptions to otherwise-applicable laws. The Supreme Court Agrees to Hear an Affirmative Action Case Will the Justices Honestly Confront the Issues? Justia columnist and Cornell law professor Michael Dorf comments on the Supreme Court’s recent decision to review a case involving race-based affirmative action in higher education. As Dorf explains, the Court has not resolved an affirmative-action case since 2003, and thus this new case will be especially closely watched. Dorf discusses the affirmative action precedents that the Court has already handed down, including the famous Bakke case, and the University of Michigan cases, Gratz and Grutter—the impact of which, Dorf explains, has been modest. The new case that the Court will review, Dorf explains, involves the University of Texas's admissions system—which offers admission to all Texas students who rank in the top ten percent of their high school class, and also adds consideration of race as one of a number of factors in admissions decisions. Dorf describes the issues the Texas case raises, and predicts that the Court's opinions—on both sides—will necessarily lack candor, as both liberals and conservatives pay lip service to an ideal of colorblindness, but do not actually hew to that ideal. Justia columnist and Cornell law professor Michael Dorf comments on ways in which election funding can still be made more fair and just—even after the Supreme Court’s highly controversial Citizens United decision. (In Citizens United, as readers may recall, the Court invalidated a provision of McCain-Feingold that forbade the use of general corporate-treasury funds or union funds for financing political advertisements during the sixty days prior to a primary or general election.) Dorf covers the impact of Citizens United; the impact of another recent campaign-finance Supreme Court decision that preceded it; the calls that some have made for a constitutional amendment allowing campaign-finance reform; and options that Congress still retains, even after Citizens United, to reform the campaign finance process—such as simply requiring that media companies provide campaigns with copious free advertising space and time. Justia columnist and Cornell law professor Michael C. Dorf comments on the Supreme Court’s decision to take up a case involving the controversial Arizona immigration law—another blockbuster in a momentous Term for the Court, which will also resolve cases on the health care legislation and redistricting in Texas. 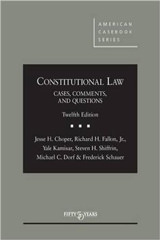 Regarding the Arizona immigration case, Dorf explains the relevance, in the case, of the theory of the “unitary executive,” and notes that there seems to be a common misconception: The question in the Arizona case, he explains, is not whether Congress can preempt state immigration law—it plainly can—but whether Congress did, in fact, preempt Arizona’s immigration law. Dorf also explains the unusual way in which the Justices’ ideological leanings play out in typical federal-preemption cases, and why immigration cases involving federal preemption are atypical in this respect. 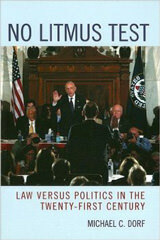 In addition, he explains why a Court precedent on gun control and federalism may play a large role here. Justia columnist and Cornell law professor Michael C. Dorf, and Justia guest columnist and Duke law and political science professor Neil S. Siegel comment on an interesting but less often discussed aspect of the controversial 2010 federal health care law. As Dorf and Siegel explain, before the Supreme Court reaches the merits of the case involving the health care law, it must first consider the federal Anti-Injunction Act, which became law in 1867. Dorf and Siegel note that the Anti-Injunction Act requires taxpayers who object to the federal government’s assessment or collection of a tax to first pay up, and only then sue for a refund. With respect to the federal health care law, Dorf and Siegel explain, that would delay even the very beginning of federal litigation until 2015. Yet both the law's fans and its detractors want a decision from the Supreme Court much earlier than that. Some would opt to simply ignore the Anti-Injunction Act, but as Judge Brett Kavanaugh of the U.S. Court of Appeals for the D.C. Circuit commented, “There is no ‘early-bird special’ exception to the Anti-Injunction Act.” Fortunately, Dorf and Siegel offer an ingenious solution to this dilemma that combines a reasonable interpretation of the Anti-Injunction Act with the passage of a new federal stature. 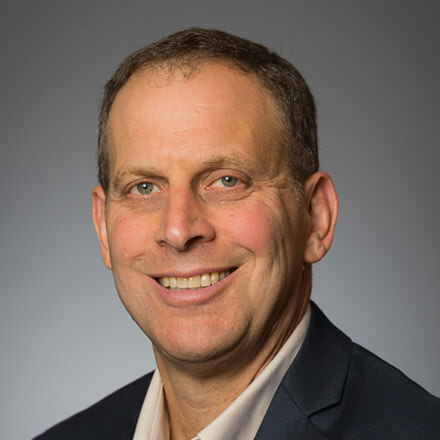 Justia columnist and Cornell law professor Michael Dorf comments on the law relating to President Obama’s military strategy, which has emphasized air power and surgical strikes, as opposed to the use of ground troops, in a number of contexts. From the raid that killed bin Laden, to the drone strike that killed Anwar al-Awlaki, to air support for Libyan rebels, Obama’s tactical choices have led Dorf and others to scrutinize what seems to be an “Obama Doctrine” regarding the waging of modern war. Dorf notes that Obama is willing in some cases to use unilateral force, though less willing to do so than the second President Bush (who himself may well have been an outlier among recent presidents in this respect). One example, Dorf notes, is Obama’s use of unmanned drones. Dorf covers both the benefits of the Obama Doctrine, such as decreasing American casualties and diminishing America’s role as occupier, and its costs, such as drones’ causing civilian casualties—an important harm in itself that also leads to hatred of America. Finally, Dorf notes that the Obama Doctrine raises a host of significant legal questions that have yet to be resolved. Can Patients and Providers Sue to Enforce the Federal Medicaid Law? Justia columnist and Cornell law professor Michael C. Dorf comments on a case in which the Supreme Court heard oral argument last week. As Dorf explains, while the case may seem technical, it will have some very substantive consequences for the judicial enforcement of federal rights. The question the case directly raises is whether private parties (specifically, Medicaid patients and providers) can sue states to demand that they comply with the requirements of the federal Medicaid law. Interestingly, the Obama Administration's view is that they cannot, while the right-leaning U.S. Chamber of Commerce’s view is that they can—even though Democrats traditionally favor court access, and Republicans traditionally are more likely to oppose such access. Dorf explains why the Democrats’ decision to oppose court access here, while favoring it generally, is a high-risk strategy that might backfire, depending on the Court’s resolution of the case. How Much Is Truly at Stake in the Legal Battle Over Obamacare? 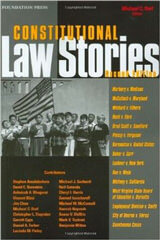 Justia columnist and Cornell law professor Michael C. Dorf comments on the potential impact of the resolution of the legal battle over the PPACA, also known by its critics as “Obamacare.” Various PPACA cases have caused a split among federal appellate courts, such that Dorf predicts that the Supreme Court will likely grant review this Term in a PPACA case. The case would raise the question of the constitutionality of the “individual mandate,” which requires individual Americans to purchase health insurance or pay a penalty for not doing so. 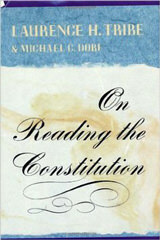 Dorf argues that in the end, the Court’s PPACA decision—like Bush v. Gore before it—will have little effect as a legal precedent, but a very large political effect, as many Americans will likely see the Court’s decision, depending on how it comes out, as either a vindication or a repudiation of President Obama’s policy, and perhaps even the President himself. Justia columnist and Cornell law professor Michael Dorf examines the way in which an Alabama immigration law—which would place the state in the role of enforcer of federal immigration laws—illustrates a schism that may be growing between two conservative constituencies: populists and corporatists. Dorf illustrates his point about the schism by reference to the controversies over the Troubled Assets Relief Program (TARP) and over immigration, which have split the Republican Party. He also asks if populist conservatives and business conservatives can ever truly get along—and notes ways in which the Supreme Court has been surprisingly supportive of the populists. Justia columnist and Cornell law professor Michael Dorf notes that many Americans have expressed disappointment in President Obama’s recent speeches. But, of course, it’s easy to criticize, and much harder to detail what the President actually should be saying. That’s exactly what Dorf does in this column—even going so far as to offer his own hypothetical stump speech for President Obama to deliver—a speech addressing tough issues like tax cuts; how, exactly, to put Americans back to work; and one key policy and legal point that Republicans and Democrats alike ought to agree upon. Justia columnist and Cornell law professor Michael Dorf comments on what may happen if the debt-ceiling deal that President Obama announced on Sunday, August 31, is somehow derailed—or if (as is almost certain to be the case) future Presidents face constitutional-law issues that are philosophically similar to the one President Obama may have narrowly avoided here. 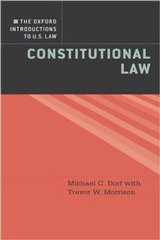 In discussing the debt-ceiling issue and its constitutional dimensions, Dorf describes the trilemma the President may face; raises the question whether the constitutionality of a measure must be an either/or proposition or if there are intermediate options of a measure's being, say, “very unconstitutional” or “a little unconstitutional”; and describes America’s historic hostility to balancing different constitutional values against one another. Justia columnist and Cornell law professor Michael Dorf weighs in on the debate over whether Senator Mitch McConnell’s plan to prevent the federal government from defaulting on its obligations is constitutional. Dorf explains McConnell’s plan and analyzes three possible constitutional objections to it, concluding that none of these objections is, in the end, persuasive. Indeed, Dorf suggests that the more closely one looks at the plan, the more clear it is that it should be a first choice among possible solutions.